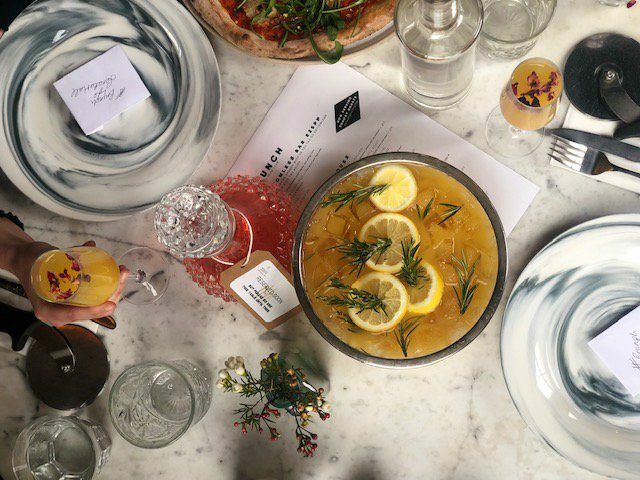 Following the success of Cattivo and Canova Hall in Brixton and Martello Hall in London Fields, Albion & East is set to open Serata Hall, an all-day dining and work space hybrid on Old Street. Founded by restauranteur Sarah Weir and backed by Imbiba, an award-winning specialist investor in the UK leisure and hospitality sector, Albion & East launched Martello Hall in 2016, aimed at the “Millennial working generation”. The venue was followed by Canova Hall in 2017 and Cattivo in October 2018. The new site will be located within The Bower, a 320,000 square foot development on Old Street. Designed by AHMM Architects, The Bower’s restaurants include Bone Daddies, Honest Burger and Ceviche. Serata Hall will offer all-day dining on the ground floor with a cocktail bar below, and event and co-working spaces throughout. Created by the team at Red Deer, the venue’s interiors will “pay homage to the Art-Deco era”. The menu will feature pizzas made with 48-hour aged dough alongside a selection of pasta dishes such as a Truffle Tagliatelle consisting of gorgonzola, walnuts, mushrooms, truffle oil, pink peppercorns, salsa di noci and thyme; and a Slow Beef Rigatoni made with 12-hour slow-cooked beef ragu, parmesan and flat leaf parsley. Plant-based options will also be available, such as Fried Vegan ‘Chicken’, Beetroot Gnocchi and a Vegan Viking Pizza. An in-house bakery will provide fresh pastries, cakes, bread and pizza dough. Locally sourced craft beer and a choice of twelve wines on tap will be available, claiming to be the largest selection outside of the United States, with the venue describing wine on tap as “environmentally better” and “fresher each time”. Developing a concept seen at Albion & East’s other sites, an on-site gin distillery will offer guests masterclasses on gin blending and cocktail making. Open 6.30am until 11.30pm weekdays and until midnight on the weekend, Serata Hall will launch on 3 April.